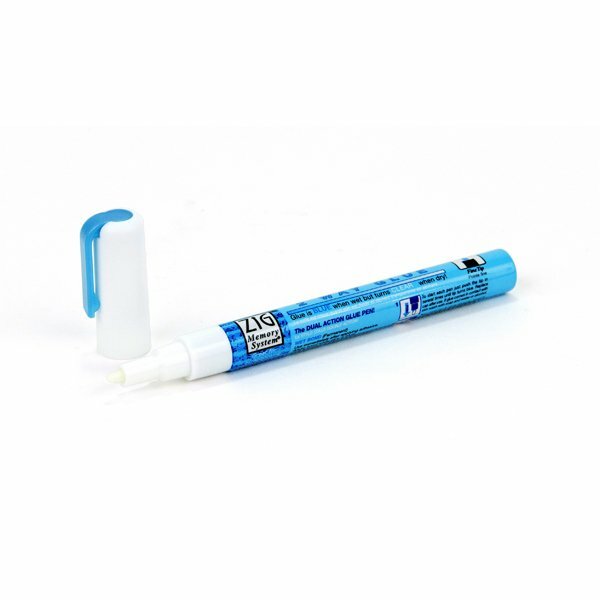 The Zig 2-Way Glue Pen with the fine tip from EK Tools is versatile adhesive to have in your craft arsenal! It goes on blue and is repositionable, then dries clear and becomes permanent. Acid free, .25 oz.